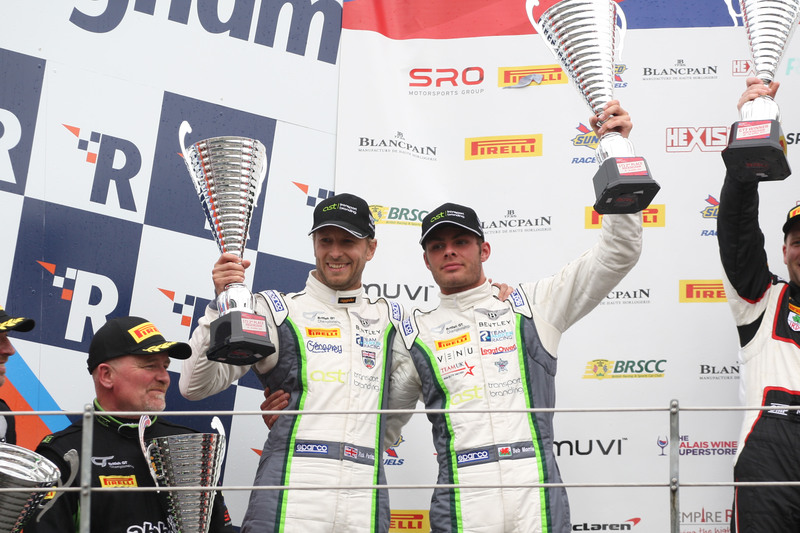 Team Parker Racing with its #31 Bentley Continental GT3, driven by Seb Morris and Rick Parfitt Jnr, claimed its fourth pole position of the 2016 British GT Championship season at a rain-affected Circuit de Spa-Francorchamps. The #79 Black Bull Ecurie Ecosse McLaren 650S GT3 driven by Alasdair McCaig and Rob Bell looked the likely contender for GT3 pole after McCaig put in a storming lap in the Am section of qualifying. 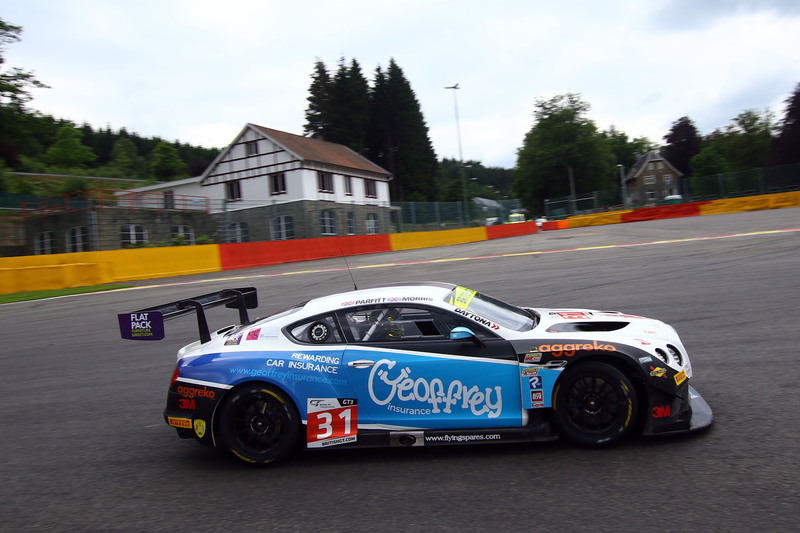 However Morris, in the #31 Team Parker Racing Bentley Continental GT3, put in a 2:18.782 in the Pro section of qualifying which, ultimately, earned the team pole position. Morris put in his time ahead of sharp rain shower in Sector 2 through which Bell in the #79 car had to take extra care, preventing the #79 car from challenging again for the top spot. The #79 Black Bull Ecurie Ecosse McLaren 650S GT3 lines up second on the grid with the #11 TF Sport Aston Martin Vantage GT3 driven by Mark Farmer and Jon Barnes completing the top three. The Drivers Championship-leading duo of Jonny Adam and Derek Johnston in the #17 TF Sport Aston Martin Vantage GT3 line up seventh on the grid after the car suffered significant damage sustained in an incident during the first free practice session. 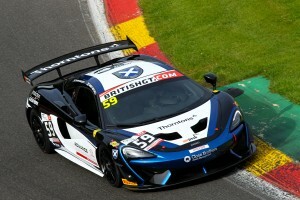 In GT4 the #59 Black Bull Ecurie Ecosse McLaren 650S GT4 driven by Sandy Mitchell and Ciaran Haggerty took its second pole of the season. Second on the GT4 grid will be the #51 Lanan Racing Ginetta G55 GT4 driven by Alex Reed and Joey Foster. Completing the top three is the #73 Century Motorsport Ginetta G55 GT4 driven by Anna Walewska and Nathan Freke. GT4 qualifying was affected by rain with the Am session having to be run on treaded tyres. Conditions improved throughout the Pro session when slicks became an option and times tumbled. 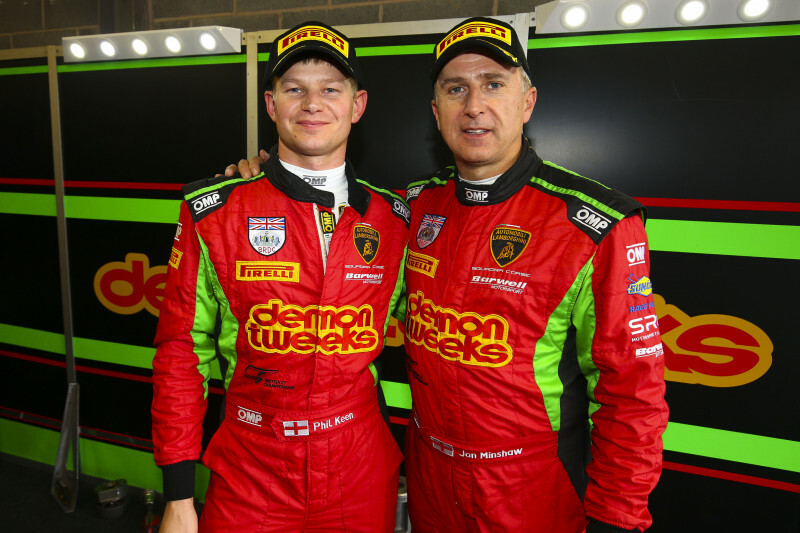 Round Six of the 2016 British GT Championship gets under way at 12:35 local time on July 9.